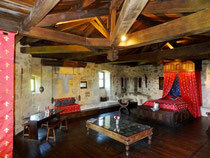 Practical information and prices - Welcome to Tennessus Castle, french medieval b&b rooms with swiming pool ! Children over 6 years please! !